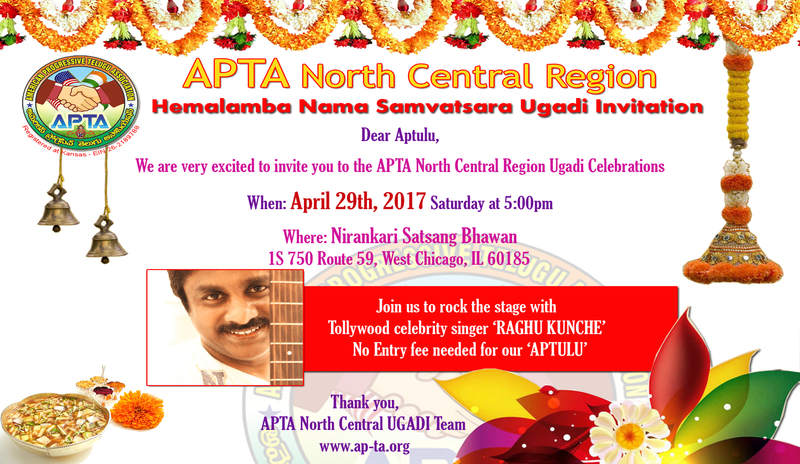 It is with great pleasure and anticipation; we request you and your family’s presence at the 2017 APTA North Central Region UGADI , on Saturday, April 29th from 5PM onward. We personally invite you to join us at this event and make it a huge success. Please respond at your earliest convenience to this evite and assist us in successfully planning this great event.